Alexandros Drymonitis is a musician, active in the field of experimental electronic music and noise. He is an MMus graduate of the Conservatorium van Amsterdam where he studied the guitar and composition. His musical practice focuses on the texture of sound and noise, exploring the borders of control, with form as a main goal. His educational aim is to provide acquired knowledge on multimedia programming. He has collaborated with various artists from different art disciplines, plus several ensembles, either interdisciplinary or music ensembles. He is currently a member of Medea Electronique and a collaborator of the ARTéfacts Ensemble. 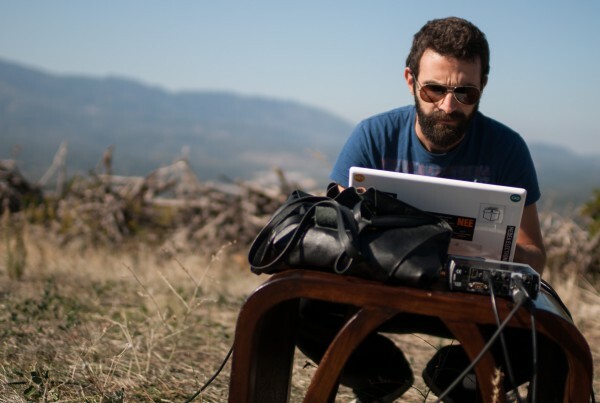 As a member of Medea Electronique, he is a main organizer of the ‘Electric Nights‘, a festival on live electronic music, based in Athens. He is also a member of Ubique Media and a founding member of the ‘Patching Circle Athens. He has taught the guitar at the Music School of Amsterdam and ‘Philippos Nakas’ Conservatory in Athens, and electronic music programming at ‘Musical Praxis’ Conservatory in Athens. He is currently a freelancer in the field of electronic music and multimedia programming, teaching several workshops in various venues and undertaking multimedia programming in various events. He is the author of the book ‘Digital Electronics for Musicians’, published by Apress.